The Ribbon lamp reminds us more of an artistic sculpture than of a classic light. For this design, Lorenzo Radaelli was inspired by the Möbius loop, a two-dimensional tape sewn on itself seamlessly. Thanks to its dynamic appearance, the Ribbon pendant lamp offers elegance and creates playful shadows on the wall, providing a special eye-catcher and a cosy atmosphere in the room. While the light on the inside of the strips appears bright and intense, it has a rather subtle and soft effect on the outside. Depending on where you sit in the room, the appearance of the lamp looks different and always amazes with its unique light effect. With the right accessories, the lampshade by Umage can either be mounted on the ceiling or on the wall as well as be transformed into a floor or table lamp. 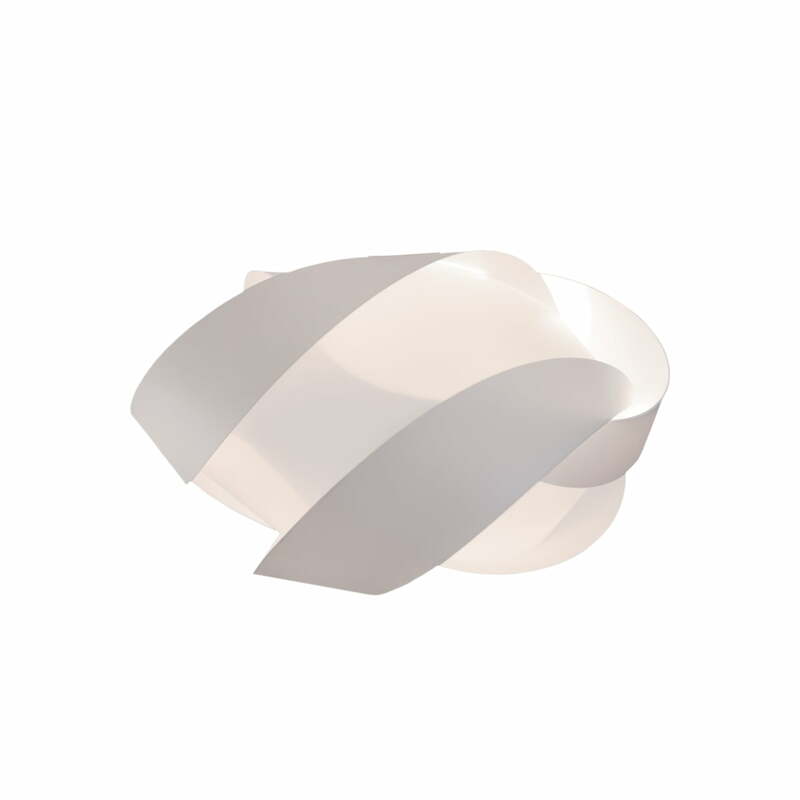 Isolated product image of the Umage Ribbon Lampshade medium, Ø 19 x 33 cm, white. For this design, Lorenzo Radaelli was inspired by the Möbius loop, a wo-dimensional tape sewn on itself seamlessly. 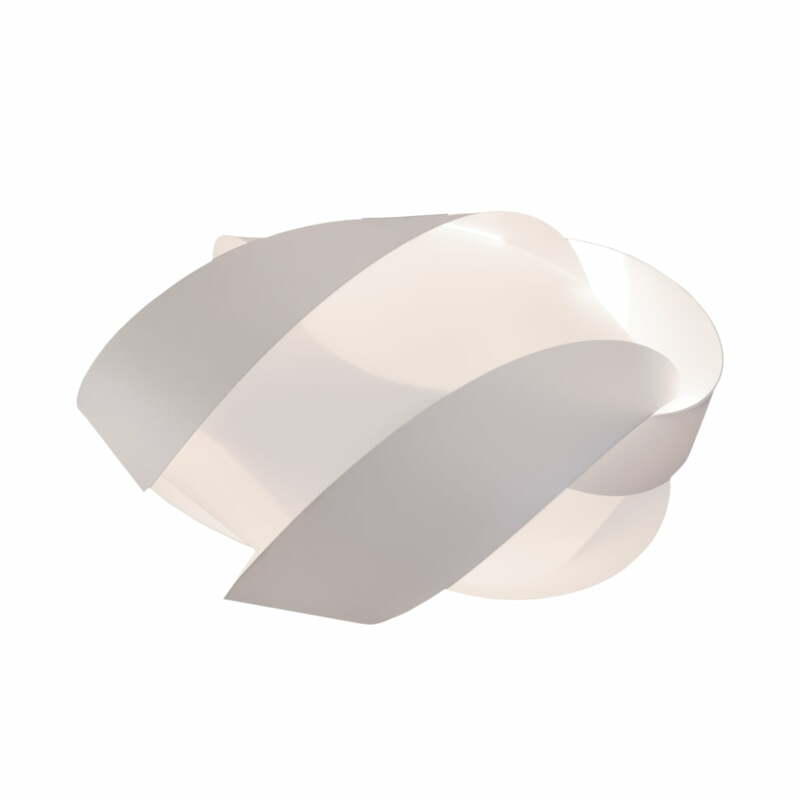 Isolated product image of the Umage Ribbon Lampshade medium, Ø 28 x 49,5 cm, white. The iconic retro shape ensures a special eye-catcher and looks outstanding in the hallway or over the dining table. 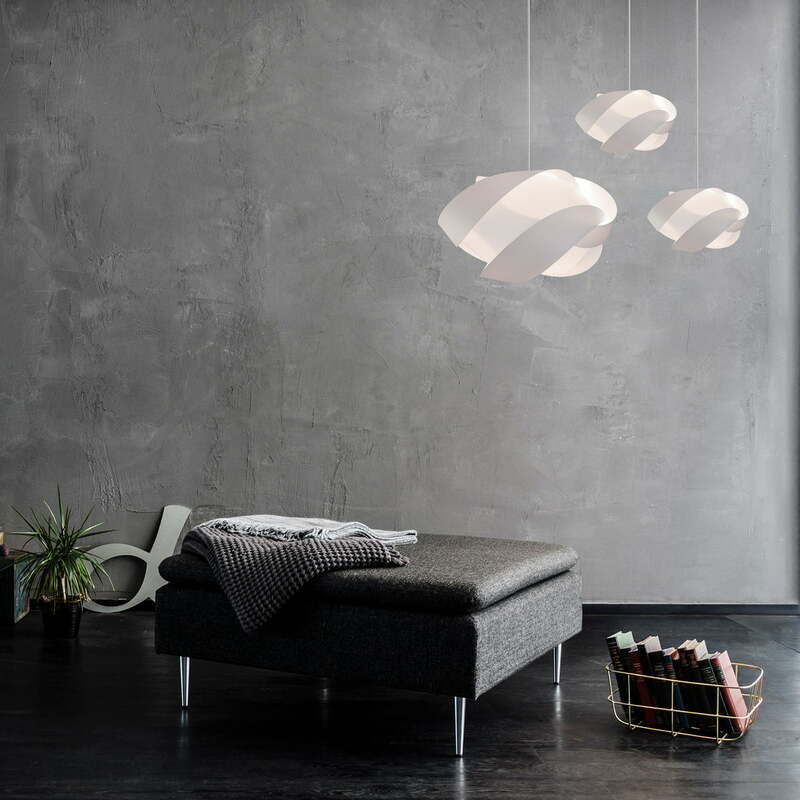 Lifestyle product image of the Umage - Ribbon Pendant Lamp. Hung individually as well as together in clusters or in series, a lively ensemble of lamps can be created, that stylishly enhances any décor and creates a cosy atmosphere. 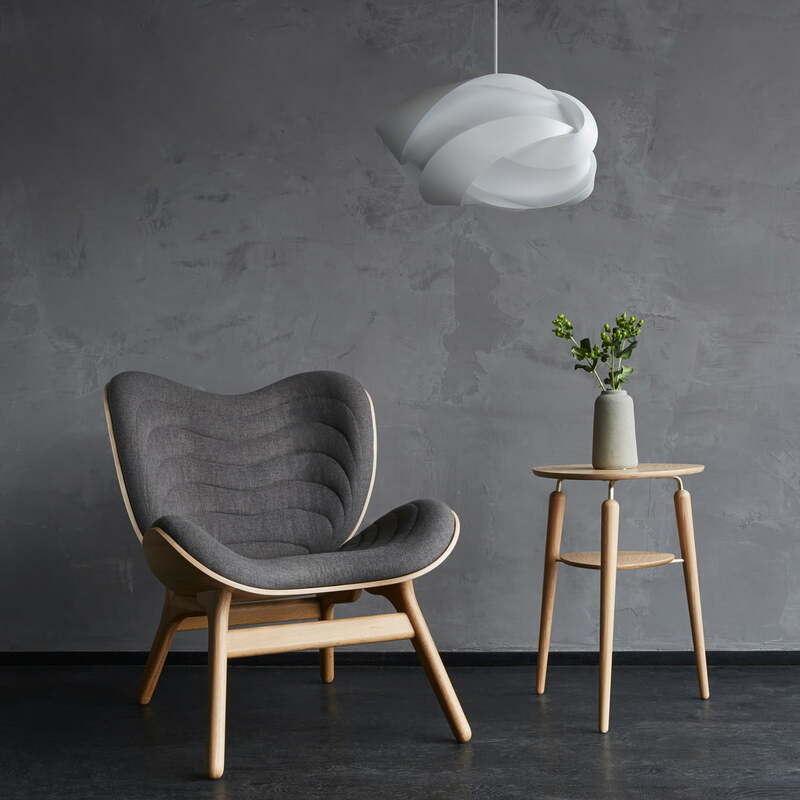 Lifestyle product image of the Umage - Ribbon Pendant Lamp with the Conversations armchair. The lights and furniture of the Danish manufacturer Umage have a typically Nordic design.